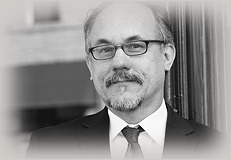 Michael Jaskula approaches the practice of law from a unique perspective. Prior to passing the Ilinois State Bar Exam in 1997, Michael had successfull careers as a carpenter and as a financial consultant with The Prudential. Michael has also traveled to fifty-five countries spending considerable time in France, Belgium and Southern Asia. Through these life experiences, Michael has developed an ability to think outside the box to find solutions to clients legal issues that cannot be found in a cookie-cutter law practice.